If you are a fan of minimal, sleek accessories, we suggest you look away now, because the latest handbag trend to invade Zara is about as novelty as it gets. If you browse the store's handbag department, you'll notice most of the crossbody and clutch styles this summer are food-related, from pepperoni pizza raffia clutches to watermelon buckets (not literally) and long-strap banana bags. We can thank Dolce & Gabbana for our latest fashion craving, as the brand's S/S 17 collection was an Italian feast of pasta- and gelato-themed clothes and accessories. A fashion of a fruit basket is silly, yes, but is the perfect way to inject a little fun into your wardrobe. 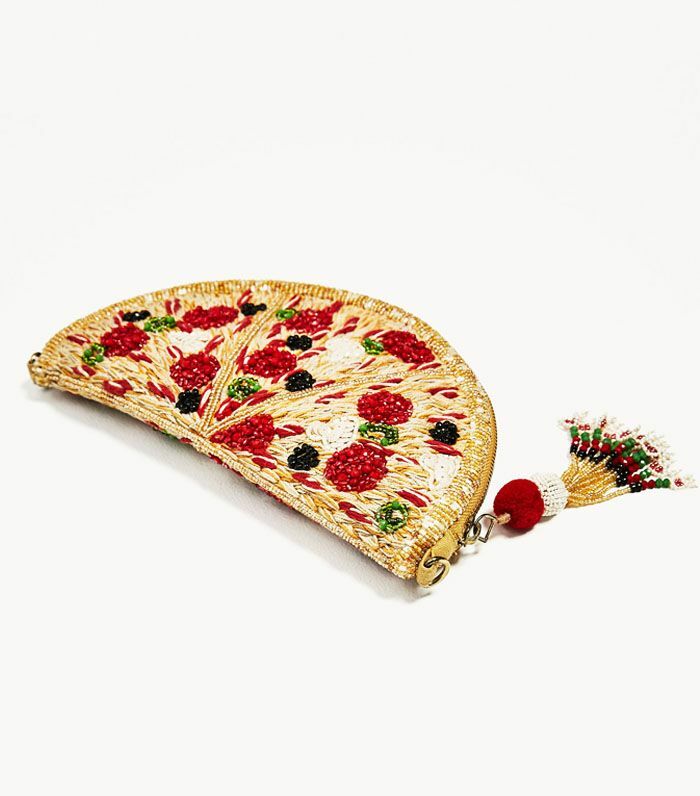 Scroll below to see nine of our favourite food-themed handbags, but be warned: It might leave you craving a bowl of spaghetti. If you're going to Italy this summer, why not go all-out with this pizza bag, complete with olives, peppers and pepperoni as toppings. Dolce & Gabbana's handbags this summer are having a Carmen Miranda moment. It seems like watermelons are the most popular item on the edible handbag menu, and this Zara bucket bag is the definition of cheap and cheerful. Because sometimes you need a silly purchase. As well as fruit, Dolce & Gabbana also has a number of pasta-themed pieces in its S/S 17 collection. This watermelon beaded clutch bag is a playful holiday purchase. If you're not quite ready to wear a banana over your shoulder, opt for this minimal Zara crossbody with a slice of fruit as the clasp. This Dolce & Gabbana ice cream cone bag is so realistic it will give you serious gelato cravings. Charlotte Olympia's summer collection is also filled with emoji-style fruit, such as this watermelon-shaped basket bag. For more handbag trends, see the 11 key It bags of 2017.